We love tea. 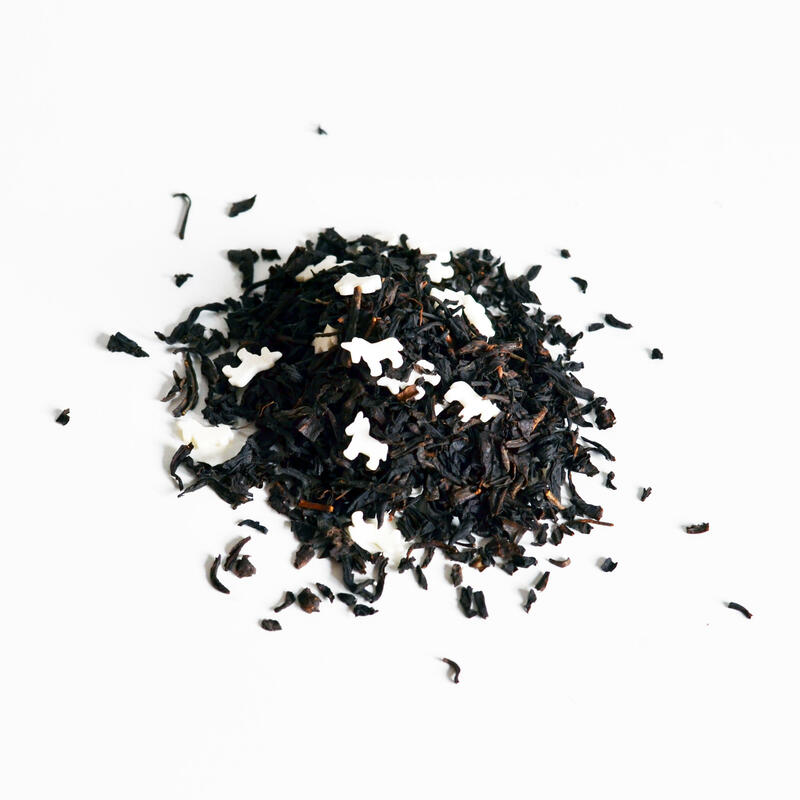 Our heritage is based on drinking the hot earthy herb. It's comforting, it boosts our energy and most people can't get out of bed before their daily brew. Some people add milk, some infuse with other herbs to change the flavour. These are all well and good, but sometimes you need that extra zing. Especially when Monday hits, or reports are looming, or even the morning after the night before. 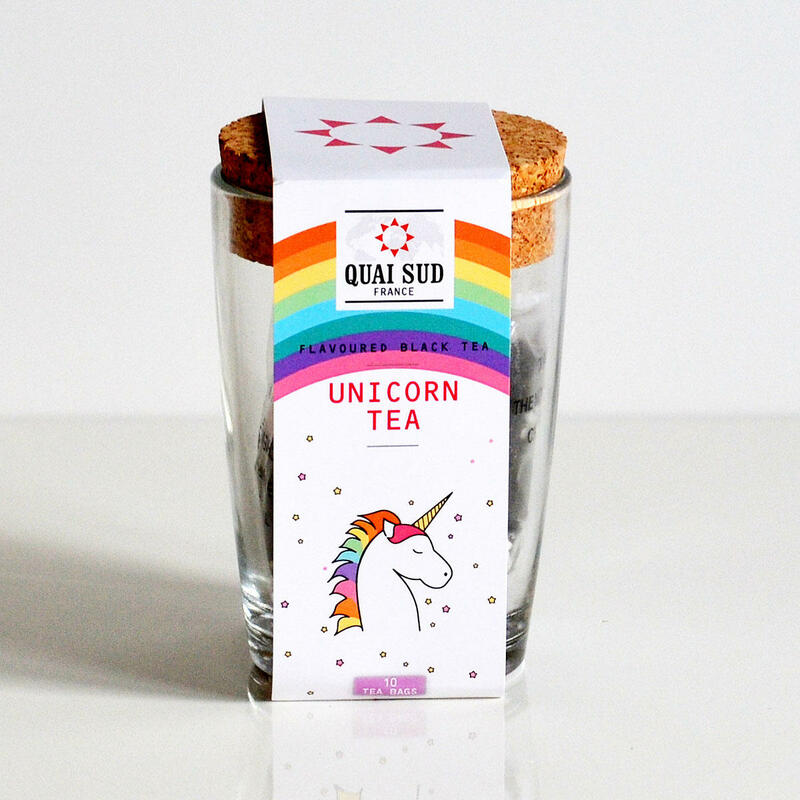 Enter Unicorn Tea. Yes, you heard us correctly. 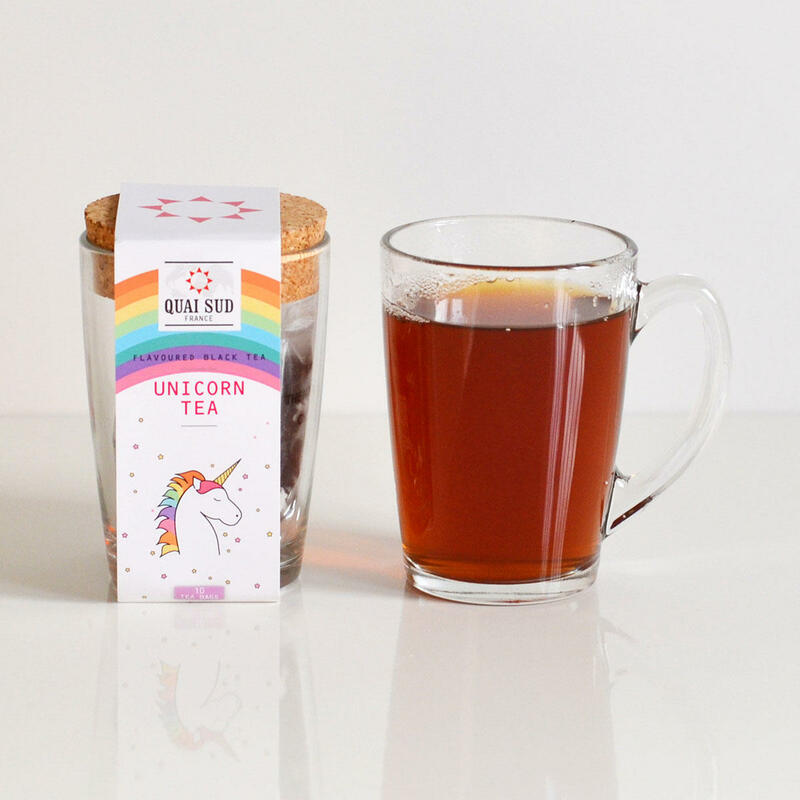 Unicorn Tea. 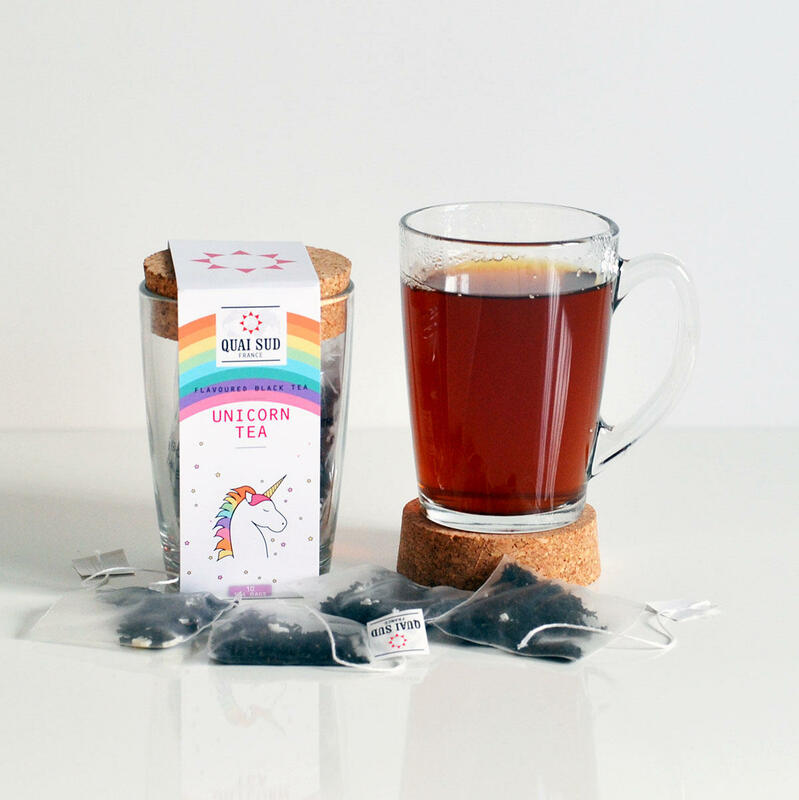 This blend of regular black tea is flavoured with unicorns! Well, ok, you got us. We don't have a heard of unicorns in our warehouse. It's flavoured with rainbows and sparkles, which to you and I is bubblegum! 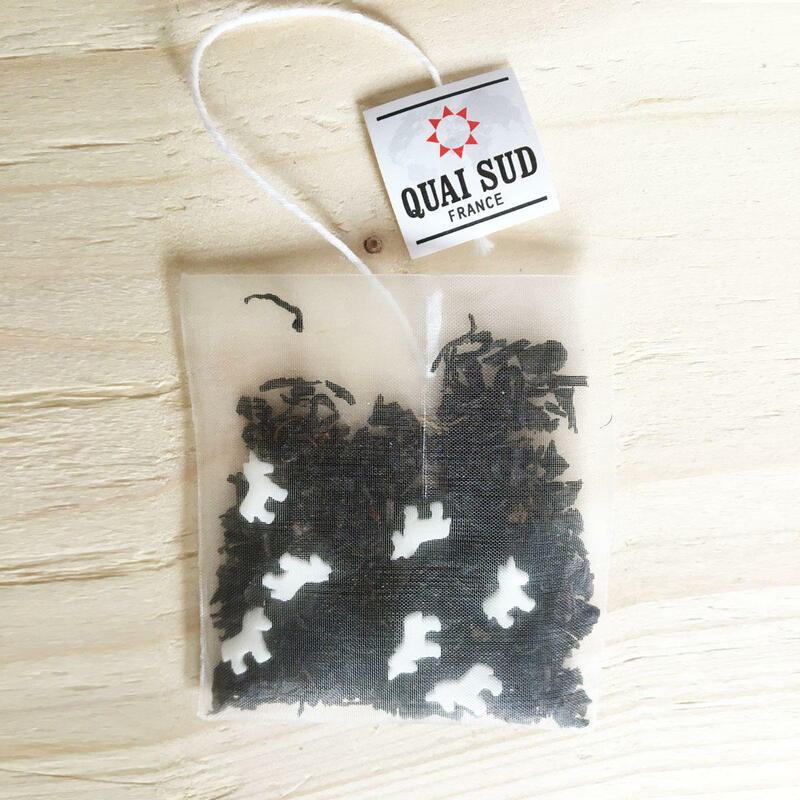 Inside each tea bag (10 included) is a blend of black tea flavoured with bubblegum and teeny tiny sugar unicorns! 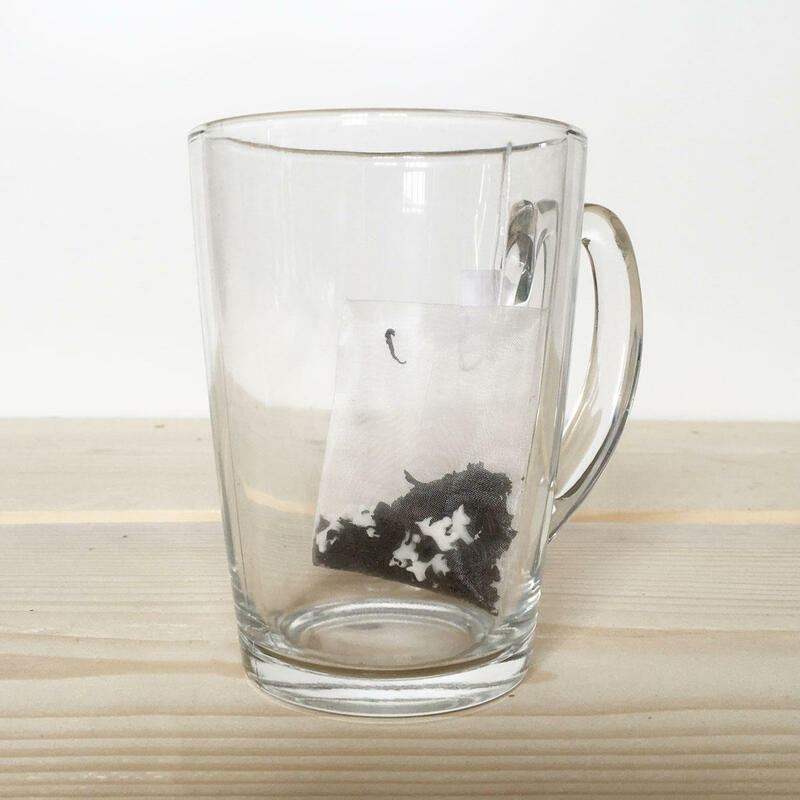 Just put one tea bag in the glass mug provided, add boiling water and leave to infuse for 3 minutes. Once brewed, add milk to taste. You then have you super fantastic bubblegum flavoured tea. Monday's will no longer be the same.